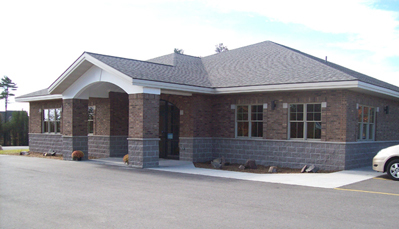 War Memorial Hospital needed additional medical office space to accommodate growth. 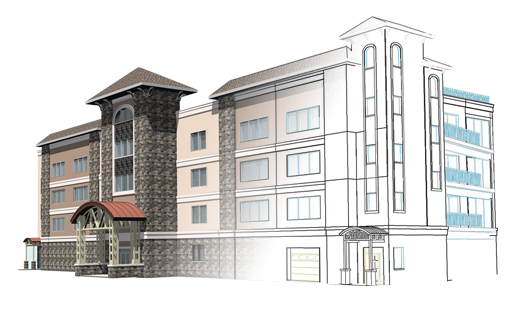 Division1 Design was selected as the design professional for a new medical office building in downtown Sault Sainte Marie. Division1 Design worked in close collaboration with War Memorial Hospital’s interior buildout architect to design a building that blended seamlessly with the historical architecture of the area, while fulfilling the needs of today’s medical professionals. The 40,000 square foot, four story building has a framework of structural steel and precast concrete planks with a shell of metal studs, foam insulation, and brick veneer. The interior buildout work included the construction of exam rooms, dialysis treatment areas, nurses’ stations, reception areas, and individual offices. Soil conditions were poor at the building site. To compensate for these adverse conditions, Division1 Design incorporated geopiers into the foundation design. The rammed rock piers provide additional support for the building and eliminated the need to excavate mass quantities of fatty clay and importing clean sand, saving additional cost and reducing construction time.